The tiny villages of the Pemaquid peninsula, from Christmas Cove to New Harbor, seem untouched by the hurly-burly of the late twentieth century. By Tom Davis. 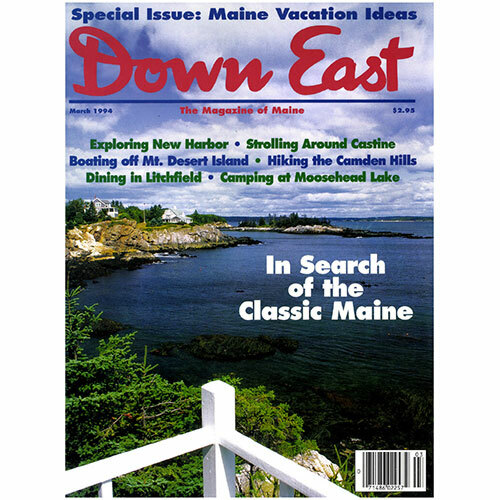 A well-known world traveler introduces himself to this tidy coastal town and discovers a great Maine inn. By Caskie Stinnett. Tips for making the most out of a visit to this celebrated corner of the North Woods. Was it the summer people who erased Elmore from the map, or was it just the twentieth century? By George Carey. There’s a boat in the summer fleet to indulge every interest, from whale-watching to island-hopping. By Nan Lincoln. Camden Hills State Park is a little bit of the North Woods right in the heart of the mid-coast. By Sarah Scott. Or help with chores, or curl up with a good book, or go berrying — it’s up to you when you’re the star boarder at a farm bed and breakfast. By Lisa Angowski Rogak. A vintage photograph captures the pride of a singularly successful flycaster. By Ellen MacDonald Ward. Glenn Gould’s magnificent obsession with antique automobiles is enshrined in the Wells Auto Museum for all to see. By Davis Thomas. On a day like this, the sky a robin’s-egg blue, the sea sparkling in the sunlight, the clouds high and fluffy, an aimless stroll around the island quickly loses its aimlessness. By Caskie Stinnett. 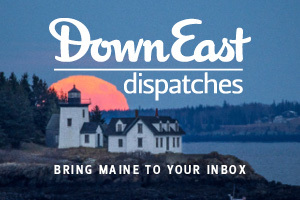 Cover: The view to sea from the tip of the Pemaquid peninsula. Photograph by Douglas Merriam.